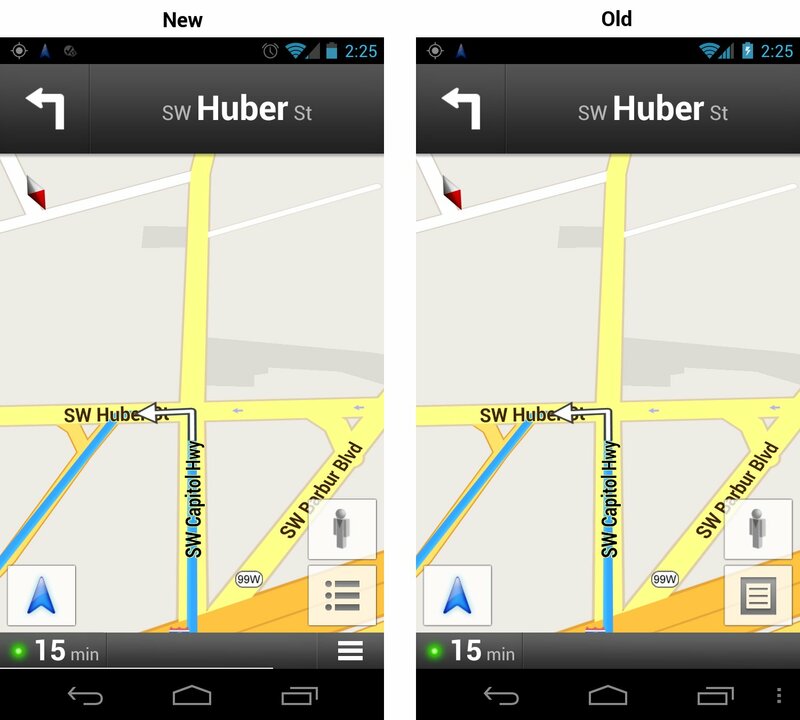 A new Google Maps update is available for you in the Google Play store (how weird is it still to say that?). 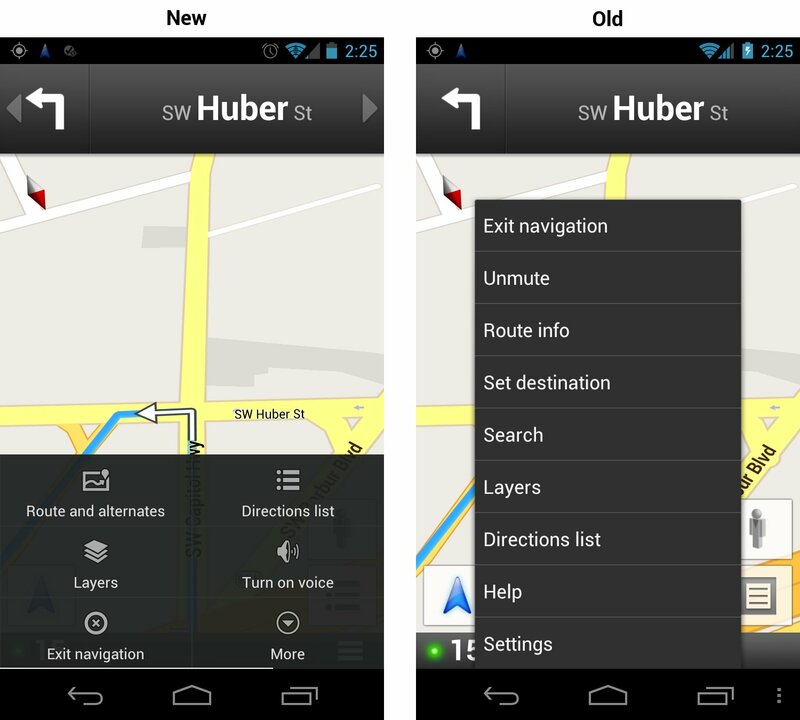 The update is minor and only includes some visual tweaks to the Navigation side of things. We have photographic evidence to prove that there was indeed a change too, as it took us a minute to figure it out. The menu button is now more than just the 3-dotted button that came with ICS. It has been built into the UI of the app, something that should stand out to users and be much more easy to press while driving. While in the menu, you will also find bigger buttons that are easier to read than the listed version that we have been stuck with for months. Cheers Kendal and everyone on Twitter!